Wahanda, the one-stop beauty and wellness shop, has launched a spa and salon online booking system, giving us beauty affectionados easy access to thousands of spas and salons across the UK. It’s simple to use, just choose the type of treatment you’re after along with the location and Wahanda will produce of the best treatments at the best prices, as well as reviews from past customers. Once you’ve booked your treatment, you’ll get instant email confirmation as well as several reminders as your appointment approaches. On top of all this, the site features a community section which gives handy tips and hints about treatments, trends and therapies from experts and the latest health and beauty news. 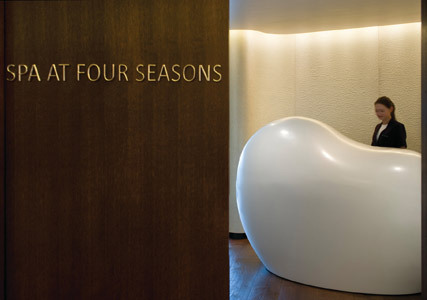 In order to give Wahanda the MC stamp of approval, we used the online directory to book a full body massage at the Four Seasons spa in London, which is located on the tenth floor of the five-star hotel with stunning views of our fair capital. The booking process was simple, quick and reliable. We also found it useful to be able to pay up front for the treatment so that on the day you have as little fuss and admin to deal with as possible. The massage itself was heaven, with our therapist designing the perfect custom massage aimed at reducing stress and tension. For an easy and convenient way to book your next mani/pedi, haircut or facial visit wahanda.com.